Over the past few months we’ve received several messages from visitors to the site asking us about LifeProof carpet and what we think about it. So, here we have our Home Flooring Pros review as well as LifeProof carpet reviews from consumers. LifeProof carpeting has been on our radar since its launch in 2015, and now three years later we have a better understanding of the pros and cons of this seemingly miraculous carpeting product. LifeProof carpet is actually manufactured by industry giants Mohawk Flooring and sold exclusively at the Home Depot; the defining characteristic of LifeProof carpets is that the fibers used to make them have been engineered to give superior stain resistance and thus a higher carpet rating. To get a sense of just how impressive the LifeProof stain resistance quality is, have a look at this promo where a white carpet is completely covered in stains and then cleaned as new afterwards! 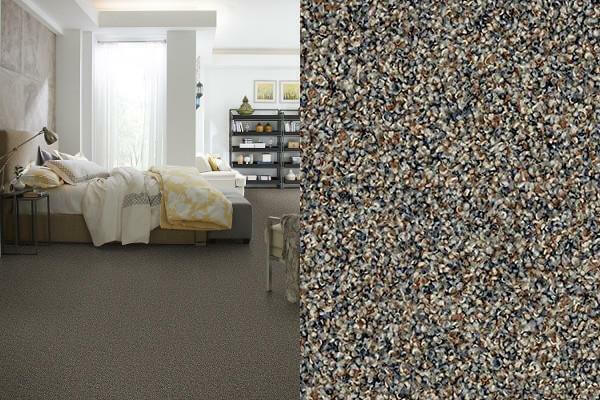 The full range of styles and colors is quite extensive, currently there are 163 LifeProof carpet designs each available in several different colors. 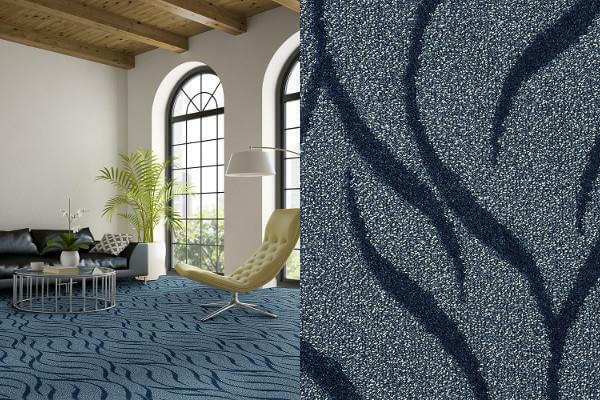 The range offers a good mix of styles and options, including 120 different textured carpets, 30 loop and patterned carpets, and 13 twist carpets. 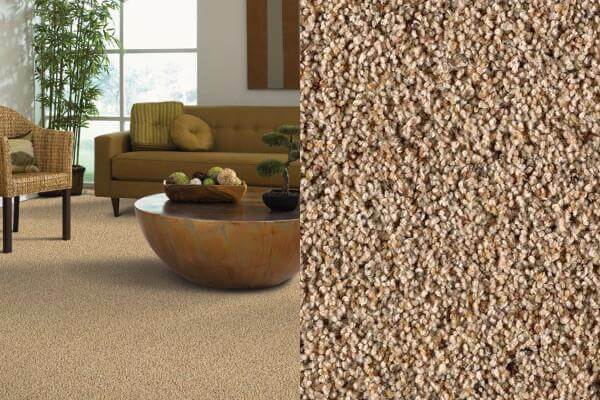 So you’re likely to find a LifeProof carpet color and texture that suits your décor style. Life Proof carpets are well priced for a low to mid-range budget with prices, at time of writing, ranging from $1.78 per square foot to $6.09 per square foot. 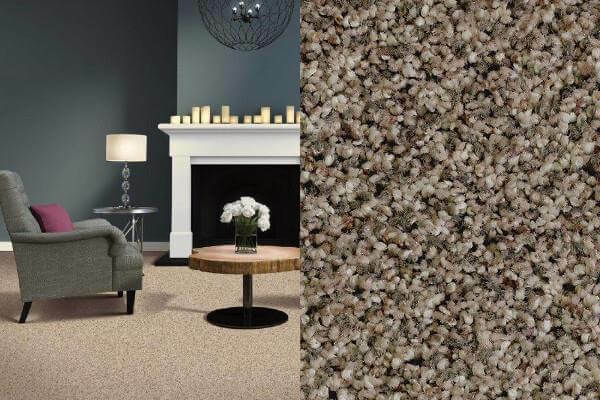 The type of fiber used for each LifeProof carpet depends on its style, but it will be either one of, or a blend of triexta, BCF* nylon or BCF* polyester. All of these fibers are known for having good texture retention (making them harder to dent or crush), being less prone to shedding and fuzzing, and being wear resistant. All positive carpet ratings indicators. *BCF = bulked continuous filament; this refers to the way the fiber is produced to in one long strand, which is what prevents it from shedding. LifeProof carpets not only use fibers that are known for being good at resisting stains, but Home Depot also say that the way that these fibers are engineered means that the stain resistance is integrated right into the fiber, so it will not wear or wash away. Home Depot offers LifeProof carpeting with a free installation service (usually dependent on a minimum spend) via teams of local subcontractors. This makes the whole process from purchase to installation fairly easy, though there are concerns about this service that you should consider (see below). LifeProof carpet is only available at the Home Depot, meaning that you are unable to buy it through local carpet retailers; as mentioned it is also often sold with a free installation service. Also, because it is exclusively available at the Home Depot, getting a deal that includes installation makes it tricky to compare LifeProof carpet with other carpets from independent retailers where installation isn’t included. However, Lifeproof carpet is as straightforward to install as any other so getting quotes independently from local contractors is a good idea. This disadvantage is not specifically a concern for LifeProof carpets but some consumers found that the plusher LifeProof carpets were hard to vacuum – their vacuum cleaners literally couldn’t move through the pile! If this happens to you, you might find that reducing the power setting or raising the brush head (if possible) on your vacuum will help – if not then the only solution will be to buy a new vacuum specifically designed to cope with extra plush carpets! Whilst we cannot fault the general stain resistance of LifeProof carpets, it is true for all types of carpet, including LifeProof, that the quicker you deal with stains the better. There are no magic carpets on the market that will always resist every stain no matter what. 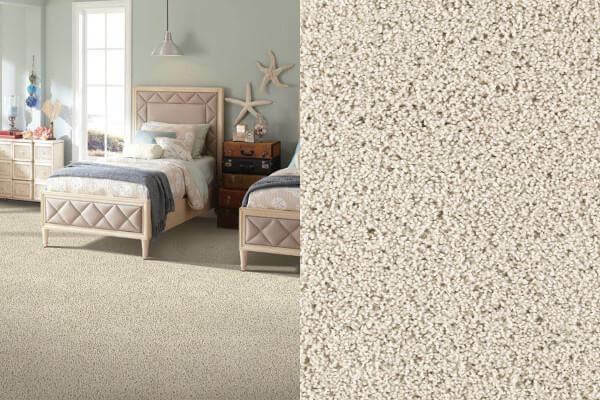 The technology integrated into LifeProof carpet fibers means that they do resist stains better in the immediate moment of the stain being produced. A stain that is discovered some time after the event that caused it may be tougher to remove. 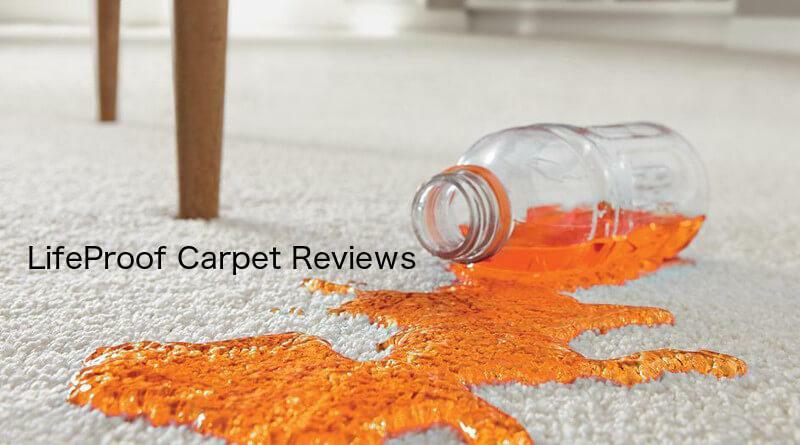 Buyers need to be sure that the LifeProof carpet that they buy has the correct warranty cover to suit your household needs or they may find that they are not fully covered for all types of stains/wear etc. See below for a more in-depth discussion of the Home Depot warranty. When LifeProof was launched in 2015 industry commentators saw it as strong competition against the Pet Protect range from Stainmaster. Both products have stain protection integrated into the actual fiber – as opposed to an added stain guard treatment; and both products (assuming you have the LifeProof with PetProof warranty) have good warranties against pet related stains. 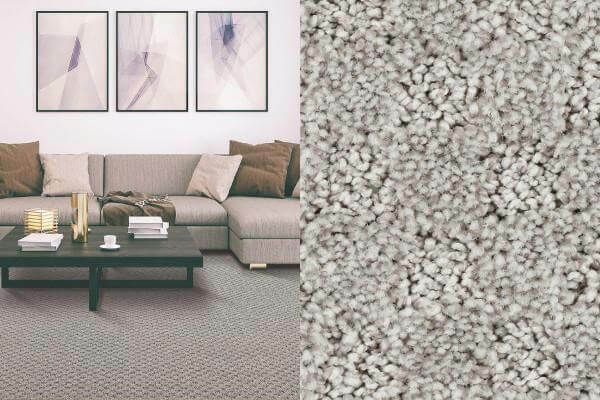 The main difference between the two bands is that the Stainmaster carpets are made using a commercial grade nylon fiber, whilst LifeProof carpets can be either made from triexta, nylon or polyester or even be a blend of two of these fibers. The other significant difference between them is that Stainmaster Pet Protect also claims to have an integrated technology that stops pet hair sticking to their carpets, making it easier to vacuum (good to know if your pet sheds a lot). LifeProof carpets have the same cleaning and maintenance as other carpet brands. Home Depot recommends that you vacuum their carpets at least twice a week, clean spills promptly using warm water – with a blotting rather than rubbing motion – and get a professional (hot water extraction) carpet cleaning service every 12-18 months to comply with warranty requirements. Warranty – What does LifeProof mean in practice? During our research we became aware of an interesting fact: it would appear that not all LifeProof carpets have the same warranty. With the standard carpet warranty some stains such as mustard, blood, pet urine will not be covered, so be sure that the product you are buying has the Exclusive LifeProof Stain & Soil Warranty and, if you have pets, ensure that you get the LifeProof with PetProof technology Pet Stain Warranty. If you have the correct level of warranty then you will be covered for most stain scenarios, except for oil or wax-based substance, including paint. If you find you have a stain that won’t budge, be sure to get a certified professional carpet cleaning service to try removing the stain before contacting Home Depot to claim on your warranty. The Home Depot warranties also include different levels of protection for wear and texture retention, so be sure to thoroughly read and question your in-store sales person so that you know exactly what is covered. Finally, also beware the warranty will not be valid if the carpet pad under the carpet does not meet the HUD UM 729, Class 2 standard. The Home Depot website has a raft of customer reviews for LifeProof carpeting, on the whole they are very positive, many customers commenting on how soft the carpets feel and how impressed they are with the stain resistance; however, some customers also mentioned that the plush carpets did mean having to adapt their current vacuum cleaner or buy a new one. Where customer reviews have been negative, this has general been to do with Home Depot subcontractors’ installation processes not meeting their expectations, rather than the carpet product itself. We advise that you ask as many questions as possible if you plan to take up the Home Depot installation offer. LifeProof carpeting has the double advantage of being manufactured by industry specialists – Mohawk Flooring – and sold by a reliable and trusted retailing company Home Depot. The stain resistance technology does work and there is a good range of styles to suit most decors. We would recommend LifeProof product to homeowners on the proviso that they do due diligence to ensure they have the correct warranty level, adequate subfloor and carpet pad, and get satisfactory answers to questions regarding the Home Depot’s installation service (if using it). As with all flooring, best results will come from using experienced and qualified contractors. we are almost ready to pull the trigger on a lifeproof for a stairs to the basement; not a runner but edge to edge. We were going with the lighter weight 50 to make the folding and bending less of an issue but noticed the label on the sample back was different that the other life proofs. Is there a way to make sure the pet hair and 25 years if they install it is going to be honored.